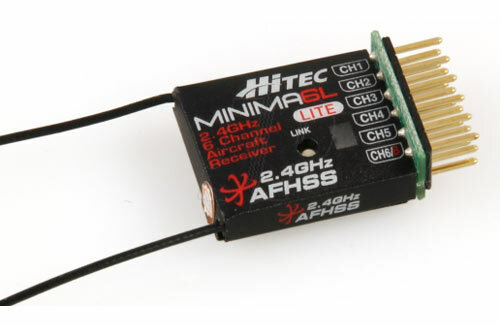 All Products > "2226500 HiTec Minima 6ch Indoor Rx"
The new lightweight park flyer version of the 2.4GHz AFHSS Minima 6 provides assured performance in your lightweight indoor aircraft. With twin antennas (but without the dual BODA functionality) and an in-air range of around 1000ft, there is surely no better way to equip your compact Sunday flyers! • Lightest Hitec 2.4GHz receiver with Lexan case. 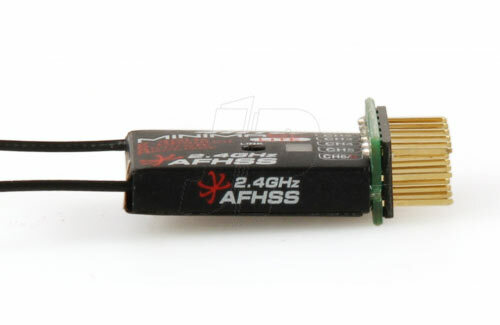 • Up to 300 metres range with clear line of sight.